in the age of technological disruption, the human element is the reliable constant. Home » technology » in the age of technological disruption, the human element is the reliable constant. In the movie Blade Runner, human-like robots (replicants) are designed to be faster, stronger and smarter than the people who create them. However, these replicants struggle with emotional connection, and that becomes their downfall. In today’s technology-enabled world, recruitment platforms are performing a wider variety of functions more quickly and thoroughly than you and I can. Current innovations accurately screen and match jobs to candidates, conduct background and personality research and even advise hiring managers on the best talent for their needs. But just like the fictional replicants, even the most sophisticated tools lack the emotional intelligence we possess. So when it comes to selling a role to a desired candidate, there’s just no replacement for the human factor. Yet. The premise that technology is here to help and not replace recruiters is a widely held view, according to our 2017 Talent Trends survey of more than 700 human capital and C-suite leaders. More than two-thirds (68%) say technology has made recruiting simpler and more efficient and reduces hiring risks. Nearly three-quarters (73%) say it’s helping them make smarter hiring decisions. Overall, recruitment innovation is regarded by most as significantly beneficial. There are, however, concerns about technology’s speed of transformation and impact on the intangibles. For instance, more than half of respondents (58%) also believe online recruiting takes away the people side of the business, and a majority (53%) say digital transformation is moving too fast and their organization is having trouble keeping up with the changes. Clearly, many employers are embracing innovation with a degree of trepidation. Human capital leaders view technological disruption with both excitement and caution. Business and operating models are evolving rapidly and creating opportunities like never seen before. Thanks to developments in automation, AI and digitalization, HR (as well as every other business function) is transforming at a faster pace than previously predicted. This is especially true in recruitment, where the abundance of innovation is quickly shifting the role of traditional recruiters into talent advisors. By freeing them from performing low-value, repetitive tasks, technology allows talent advisors to focus on services beneficial both to hiring managers and the talent they seek. Time is better spent on nurturing relationships, placing the right candidates in the right roles and creating stronger engagement in the workplace. Recruitment, in particular, is undergoing tremendous disruption due to automation and artificial intelligence (AI). While closely related, these are separate areas of innovation that are elevating talent acquisition strategies overall. Tools that automate processes are already alleviating recruiters of traditionally manual tasks. First interviews, scheduling, reference checking and candidate notifications can all be managed by technology — leading to not just time savings, but also process consistency, the elimination of bias and a better candidate experience. The proliferation of many standalone tools, as well as the maturation of candidate relationship management platforms, vendor management systems and applicant tracking systems, give employers lots of options to automate processes. Beyond routine tasks, AI is expanding the capabilities of automated applications using natural language processing to develop the most effective job description, chat-enabled technology to achieve higher candidate engagement and machine learning to screen for the best candidates based on business needs. A critical area where automation and machine learning are converging is in talent analytics. Not only can employers receive up-to-date business insights, but as predictive analytics continue to evolve, users can benefit from the prescriptive actions this technology offers. 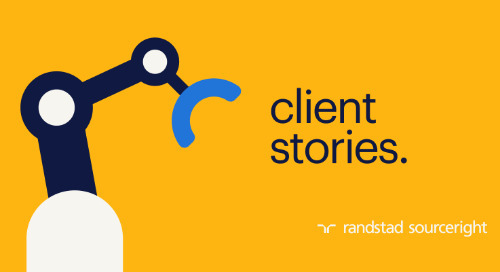 At Randstad Sourceright, we’re already leveraging some of these cutting-edge technologies to enhance the services we deliver to our clients. Complementing the expertise of the human talent at our specialized global recruitment centers, automation, analytics and AI are helping us to attract, source, screen and onboard great talent for our clients much faster. As technology becomes more sophisticated, the list of services we will enhance through AI is expected to grow. While there’s much to celebrate about the speed of recruitment innovation, there’s also cause for concern. The first is the ability of employers to keep up with the pace of change. An unceasing pipeline of products means considerable resources are needed to assess and acquire game-changing tools. On top of this, you need expertise to understand how to integrate these investments into your workflow and infrastructure. And most believe competitors are outspending them, according to 58% of those surveyed. Then there’s the impact on people — your recruiters, internal customers and candidates. 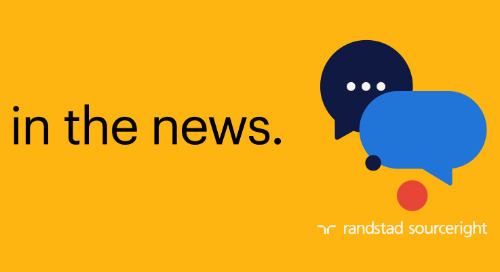 Automating parts of the talent acquisition process can enhance both the candidate and employee experience, but it’s important to put a strategy in place before implementation to avoid pitfalls. Map out critical candidate touch points to understand how technology can both help recruiters deliver a more personalized candidate experience and improve internal processes and visibility. One thing is clear: technology today produces the best results when it is deployed as a solution to support, rather than replace, recruiters. Until there comes a day when AI can emotionally connect with your hiring managers and the talent you want to hire, it’s the human element that will help you win the war for talent. 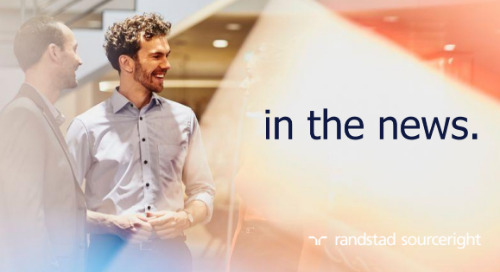 To learn how talent and C-suite leaders around the world view today’s workforce developments, access Randstad Sourceright’s Talent Trends Quarterly Q3 2017 Report - technology & the new frontier of talent. 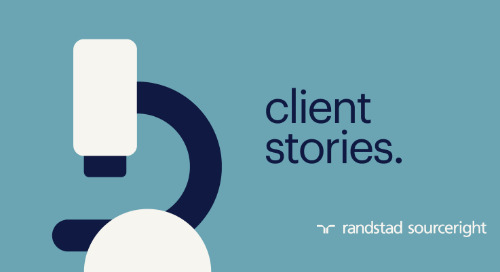 As managing director, Asia Pacific for Randstad Sourceright, Anthea Collier brings 25 years of experience supporting regional and global recruitment clients across Asia Pacific and the United States. She is passionate about recruitment technology innovation and focused on aligning talent strategy with client organizational productivity improvements. HRDive: HR technology may have helped job numbers rebound. Bloomberg BNA: have no fear even if robots are here. 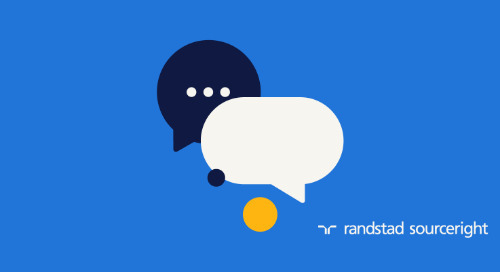 Randstad Sourceright to present talent acquisition insights at the HR Data Forum. How can workforce planning be effective without a complete view of your workforce? Learn about the role of HR tech and talent analytics at the HR Data Forum. HRD Asia: does the human touch beat HR tech when hiring? Despite the growing use of HR technology to find and hire the best talent, many human capital leaders still see a need for a human touch. Learn more. The HR Director: employers say human touch still important in recruitment. 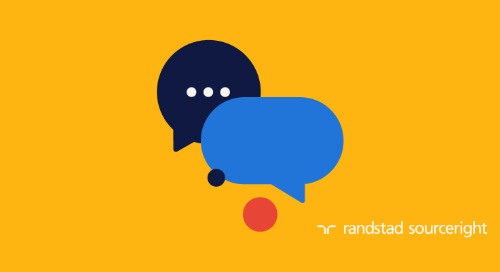 Learn why talent leaders — and candidates — still value the human connection in a highly automated world of talent acquisition. Recruiting Daily Advisor: 5 ways to speed up recruitment. 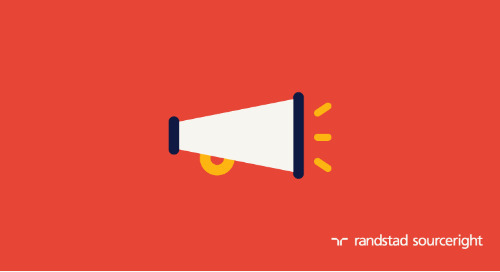 Did you know 65% of talent leaders expect that HR tech will enhance the candidate experience. Find out what recruitment tasks they want to automate. 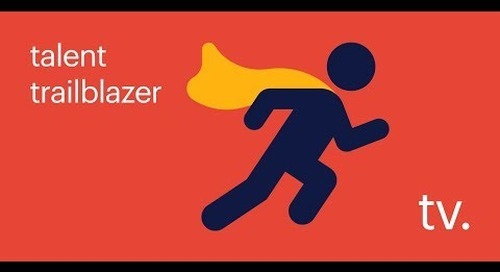 talent trailblazer tv: how to implement a total talent strategy. 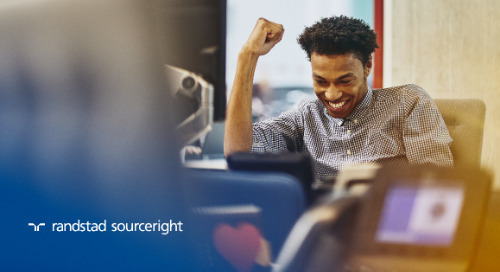 Watch now to learn HR technology, data and a collaborative approach combine to provide a strong foundation for your total talent acquisition model. 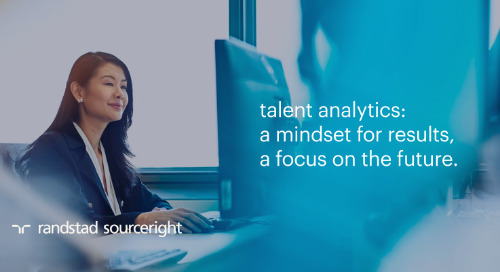 talent analytics: a mindset for results, a focus on the future. Read the white paper for insights from talent analytics expert, Jason Roberts. 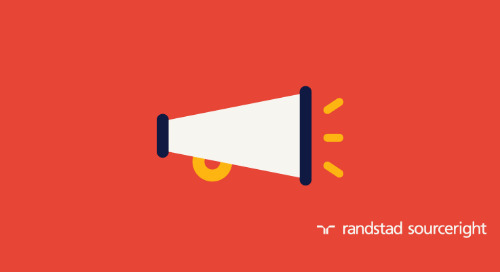 Find out what it takes to achieve faster, effective talent acquisition results. TechRepublic: 5 ways to ensure HR tech boosts recruitment. 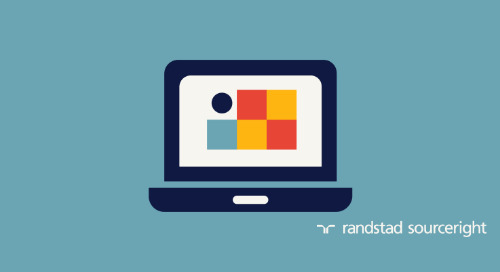 How can technological innovation open up possibilities for your recruitment processes? Michel Stokvis shares insights. SIA: leaders want ‘mix of tech & touch’ from recruiters. While the adoption of HR technology continues to shape recruitment, C-Suite and human capital leaders remain mindful of the value of the human touch. People Matters: HR tech and human touch are both important to recruiting. How are smart technologies accelerating recruitment outcomes? 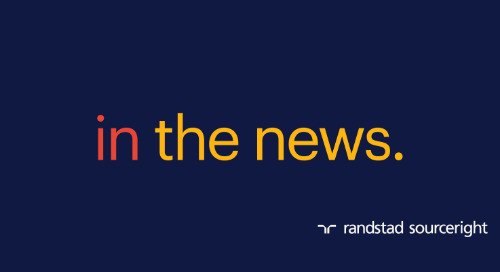 Get details on this and other Q3 2018 Talent Trends findings.